“When the office went to a new electronic records management system in November 2015, Clerk Mike Killian decided he would start reducing the paper files with the ultimate goal of going paperless. Killian maintained physical folders for all cases through last year, but told Benton-Franklin Superior Court administrators that would end Jan. 2. That decision didn’t sit well with the court’s seven judges. 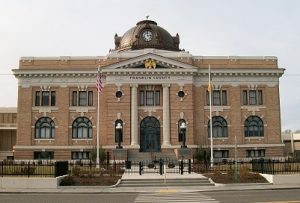 The lawsuit — an unprecedented action with the Tri-City’s bicounty system — claims the elected clerk is refusing to follow the court’s direction and an emergency local rule adopted Jan. 16. The judges want another judicial officer to force Killian’s “obedience” with regards to maintaining paper files, and order him to refund their legal costs. “The superior court has power to control, in furtherance of justice, the conduct of its ministerial officers, such as county clerks,” according to a motion for a writ of mandamus, attached to the lawsuit. We will be following this story as it develops. If you have any questions about how we have integrated the Odyssey System into our services, or have any other questions about CourtTrax, please contact us at customerservice@courttrax.com or give us a call: 866-643-7084 (Option 3).